This peaceful tropical paradise floats in the warm turquoise waters in the Gulf of Thailand, 50kms from the Vietnamese mainland and a 50 minute flight from Ho Chi Minh City. Phu Quoc is becoming well known for stunning beaches, untouched natural environment, the easy going and relaxed atmosphere, friendly locals, fantastic scuba diving and snorkeling. 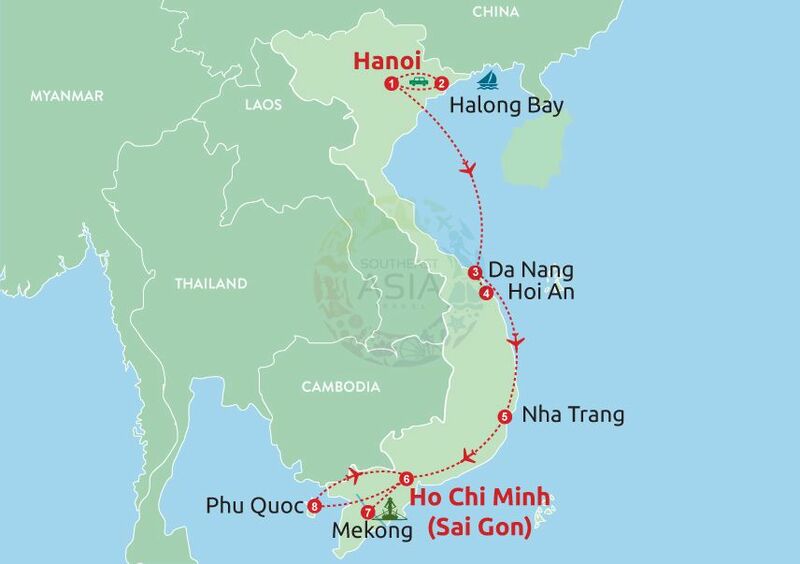 Phu Quoc is an nearby island, located in Gulf of Thailand, just 45 kilometers far from Hatien coastal town of Vietnam. 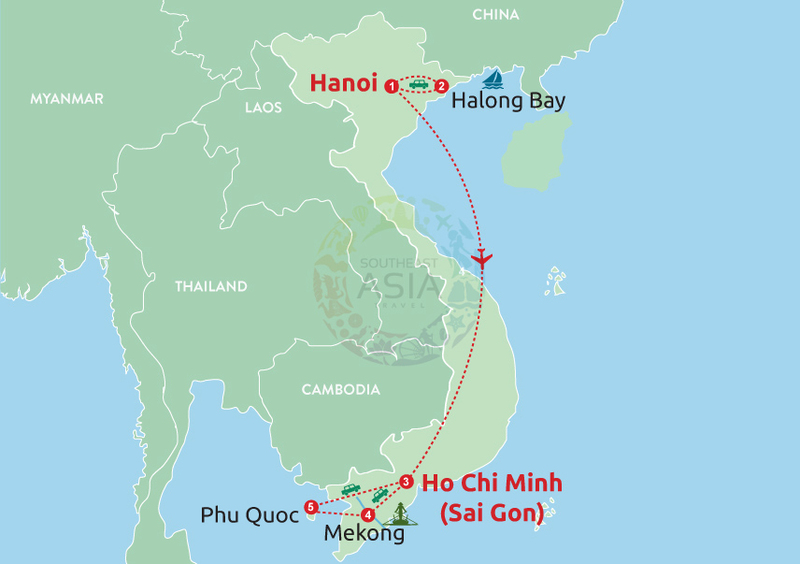 Also being known as Ngoc Island, Phu Quoc – the largest island of Vietnam is a part of Kien Giang Province. 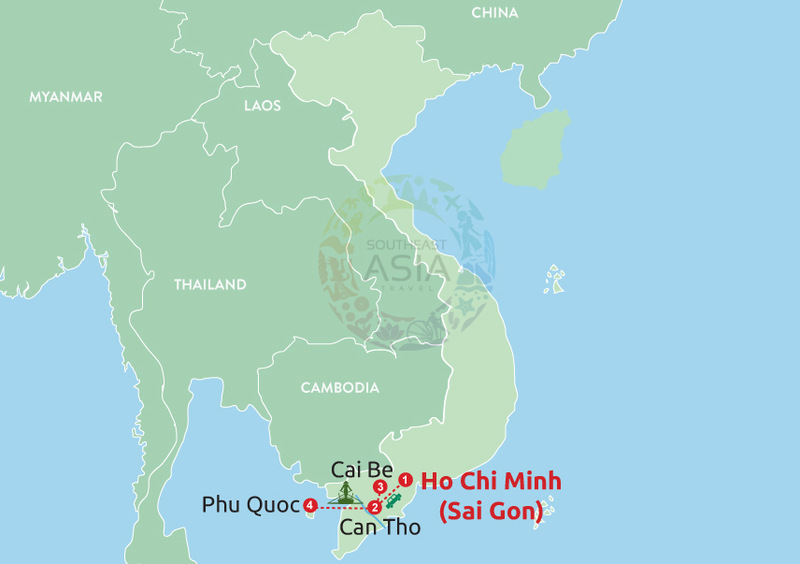 Phu Quoc has total area of 589 square kilometers and population of 85,000 people. 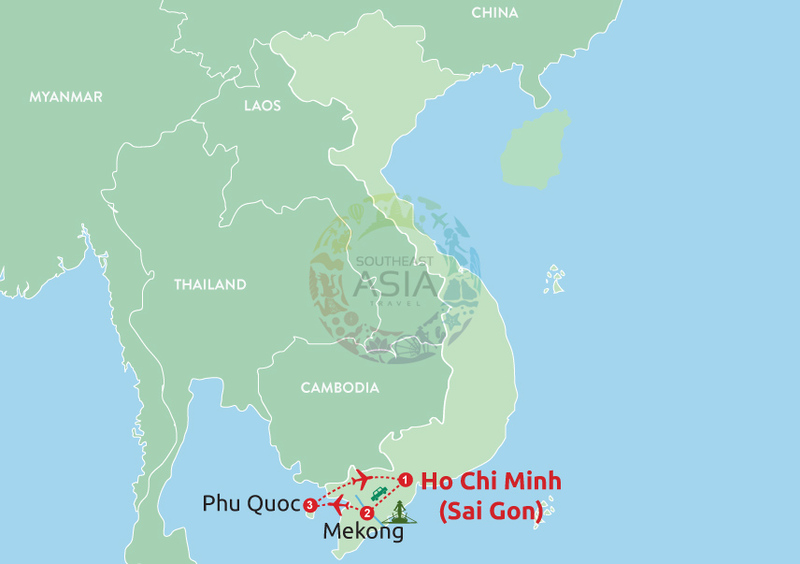 Phu Quoc is a system of 22 small islands. In 2006, Biosphere reserves and coastal islands Kien Giang including Phu Quoc islands were recognized as World Biosphere Reverse by UNESCO. 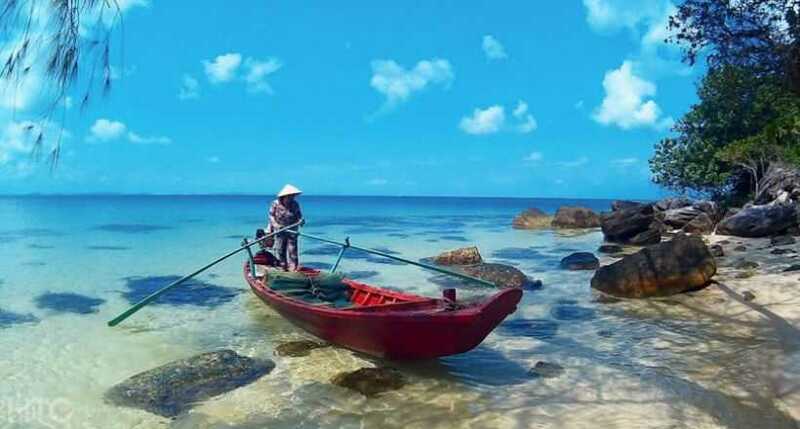 Phu Quoc has tropical monsoon climate with 2 seasons: dry season and rainy season with average temperature 22 - 35 degree C. It has more than 350 years of history from 1671. 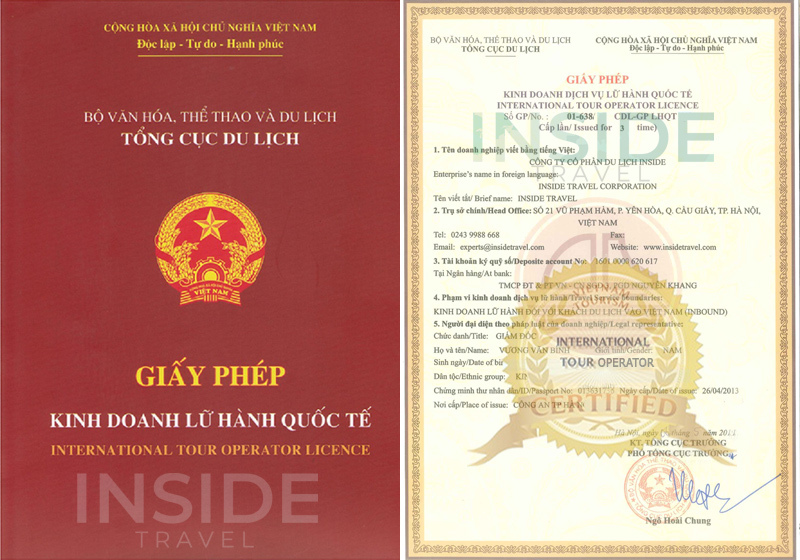 Nowadays, Phu Quoc was invested with seaports, resorts, hotels and restaurants. However, it still keeps its primitive beauty of an offshore island. Phu Quoc is famous for many beautiful beaches, streams, pagodas and seafood. It can be said that Phu Quoc is endowed with many beaches as beautiful as picture which can be compare to Hawaii. Blue sky, blue sea, white sand sparkling in the sunshine and tropical coconuts swaying in the wind are ready to hold any tourist's footsteps. 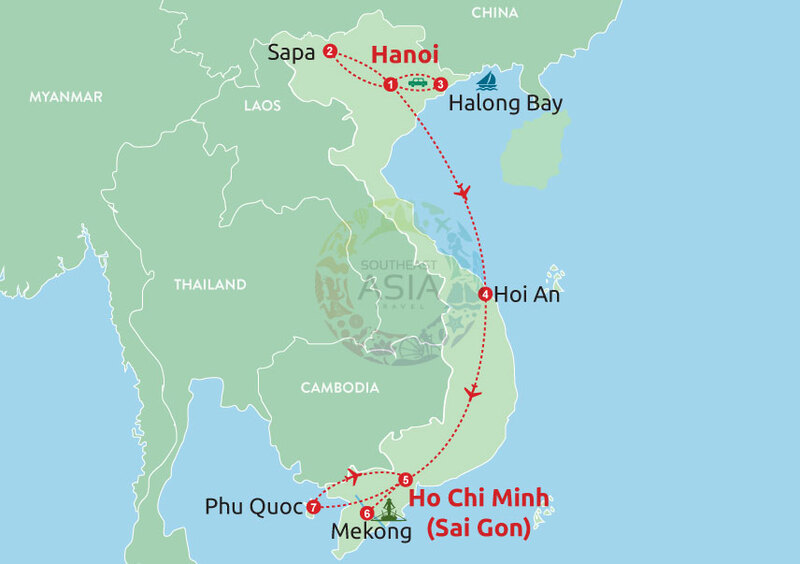 Especially, Phu Quoc does not have several but dozen of beaches such as: Vinh Dam, Xep Nho, Dat Do, Khem, Truong, Vong, etc. 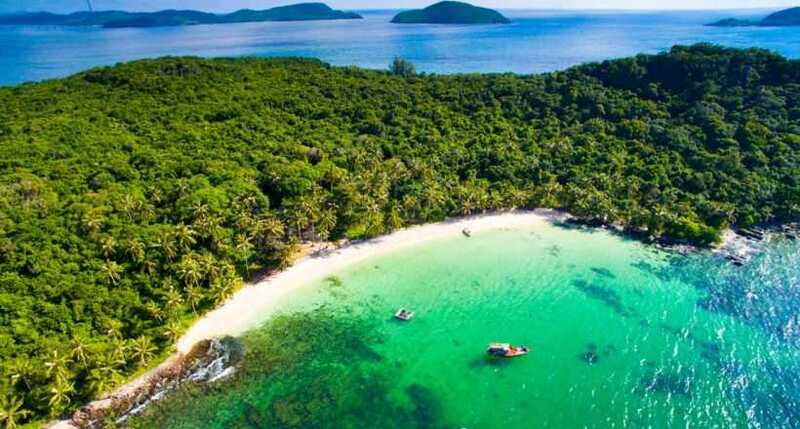 Like Halong Bay, Phu Quoc is also gifted hundreds of small islets with different shapes such as: Thom, Dua, Roi, Dun, Kim Quy, etc in An Thoi islands. Moreover, like Cat Ba, Phu Quoc possesses a national park where reserves many rare and precious kinds of trees. 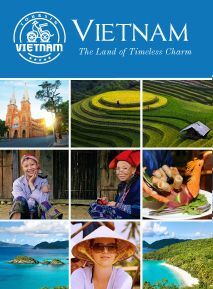 Several streams such as Da Ban, Tranh with spectacular scenery will be great places for visitors to take photos. It would be a shortcoming if talking to Phu Quoc without mentioning food here. Being wrapped by the tropical sea, Phu Quoc is abundant of marine resources with fish, shrimp, squid, crabs. Nothing will be greater than sitting on the beaches, hearing the waves, watching the sea at night, smelling the fragrant aroma of baked oysters, grilled squid. Visitors who want to buy something as present for family or friends will have variety of choices such as its fish sauce, pepper, pearls, wine and hundreds of seafood which will satisfy all the tourists’ needs. Overall, if you are looking for a place as beautiful as heaven, as primitive as the land in the Bible, Phu Quoc is exactly where you want to go. 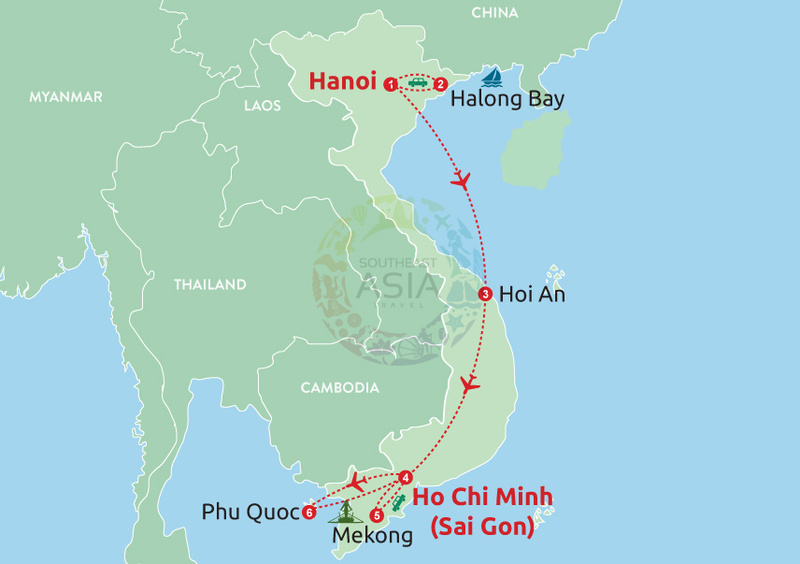 A journey to Phu Quoc absolutely will be an unforgettable memory in your life. · Chance to enjoy the charming of Emerald Phu Quoc Island with blue water and white sandy beaches. · Time to relax, sunshine, swimming with beautiful nature and nice weather. · Joining in some exciting activities like cruising, fishing, or diving to discover more about the Island. · Getting memorable time to discover plentiful and diversity ecosystem of Phu Quoc Island. · An opportunity for you to explore the country's isolated island.